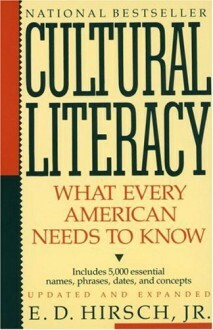 In this forceful manifesto, Hirsch argues that children in the U.S. are being deprived of the basic knowledge that would enable them to function in contemporary society. Includes 5,000 essential facts to know. What a stupid, dull concept, stripped of context and life, disconnected, like the fact of existence for anyone who would try to follow it. Books by E.D. Hirsch Jr.